We believe that pricing for funerals should be clear and transparent: you should know what the cost will be beforehand, and what it includes. It should only include things that you need or have specifically requested. During your first meeting with us we will provide you with a clear estimate of the costs of the service that you require. We are committed to providing affordable and transparent funerals and have signed the Fair Funerals pledge . Funeral directors’ invoices are typically made up of a mix of funeral directors’ fees and third party costs, such as crematorium fees or minister / celebrant fees. Third party costs vary which is why it’s hard to give a complete overview of costs without having a detailed conversation about your individual needs. 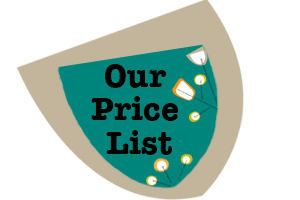 Our price list however should act as a guideline for some of these additional costs. We try to keep things as simple as possible whilst remaining flexible. As a result we have three key types of services. An initial meeting with you at home, at our Kings Heath premises, or at an agreed location to discuss all your options, to get to know about the person who has died and how we can work to support you. Our recommendations on suitable locations and suppliers. Our help to complete all the paperwork you will need and administration of the funeral. A unique webpage with funeral details for you to share information with friends and family. Our care and attention throughout the process, including unlimited phone calls and additional meetings in person or via Skype. Two members of the team to support you on the day of the funeral at a single location. Collection and delivery of ashes to you within a 20 mile radius. Access to SAIF Care bereavement support. Where collection of the body of the person who has died is urgent but falls out of normal working hours. This is charged additionally at £195. Additional miles £1 a mile. Our experience so far has shown that no two funerals are ever the same. 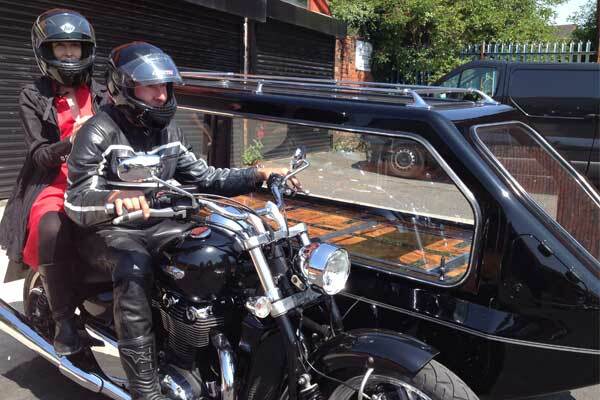 There is always something slightly different that a family needs, whether it’s a particular type of coffin, hearse, musician, venue, or type of support from us, the list is endless. Link to your personal choices To provide an idea of the kinds of costs involved we have compiled a price list of the main additional products and services which we have been providing. This list contains a selection of the main items we can provide. We have also compiled a price list for some of the coffins and urns which are available. Our approach is to source products and services from a wide range of suppliers so that we can deliver the choice that you need. These lists therefore only represent a selection of the products we can provide so please don’t feel constrained by them – we can look to source anything you would like. Two doctors’ certificates: currently £164. There are instances where these are not required and the death has been referred to the coroner. Where ashes need to be sent out of town a courier fee will apply. This cost will not be applicable if you wish to collect the ashes yourself. Fees for burial in a cemetery start from around £2928 in Birmingham (£1650 in Redditch) where a plot needs to be purchased. The price will be less if a plot has been pre-purchased. These prices will vary for residents and non-residents. Generally the fee for burial is split into plot, interment and the cost of any plaque / memorial. So even if you have pre-bought a plot interment fees will still apply. If the grave is already in existence there will be a fee to remove and store the stone for up to 6 months while the ground settles. There may also be a re-fixing fee, on top of any additional engraving required and possibly also a re-turfing fee from the cemetery. Our simple funeral includes everything you need to carry out a lower cost and personal funeral at a single location. You choose the time and date. Meeting with you at home, our premises, an agreed location or via skype, to discuss all your options and how we can work to support you. Collection of the person who has died during working hours (Monday-Friday 8.30am-5pm) within a 20 mile radius. * Additional miles are charged at £1 per mile. Washing and dressing of the person who has died and looking after them until the day of the funeral. 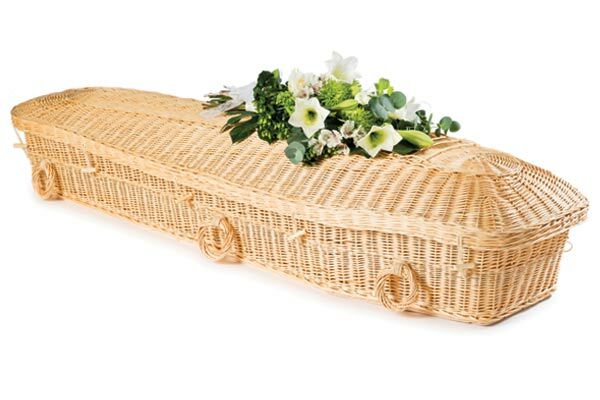 A manila (brown) cardboard or oak veneer coffin (there is a £40 supplement if you would like white cardboard or a shroud). Use of one of our white cars as the hearse. Help with all the paperwork and administration of the funeral. A unique webpage with funeral details for you to share with friends & family. Our care and attention throughout the process, including unlimited phone calls. We include a simple standard sized coffin in our fee. Choose from either: locally made oak veneer, manila cardboard ( £40 supplement for white cardboard or a shroud). Where collection of the body of the person who has died is urgent but falls out of normal working hours. There would be an additional fee of £195 where this is the case. It is relevant typically where a person has died at home, in a care home or hospice. A funeral doesn’t require anybody in an official capacity to lead it. Some of the most beautiful ceremonies we have witnessed have been those led by family or friends. A celebrant or minister will cost around £200. They will gather thoughts and memories from friends and families and craft these together to form the service and eulogies. They will then act as host and speak during the ceremony. They carry out a fabulous service but it is possible for families to do this themselves. Crematorium fees. These can range from £500-1000 for a single slot. Fees for burial in a cemetery start from around £2,928 in Birmingham (£1650 in Redditch) where a plot needs to be purchased. The price will be less if a plot has been pre-purchased. These prices will vary for residents and non-residents. A direct cremation is a simple, respectful and inclusive way of arranging a cremation without a funeral. We take care of the practical aspects of the cremation and you and your family can remember your loved one at a time and place that suits you. The costs are lower because we choose the time, location and date, there is no funeral service and family do not attend. Collection of the person who has died during working hours (Monday-Friday 8.30am-5pm) within a 20 mile radius. Additional miles are charged at £1 per mile. Return of the ashes to you within a 20 mile radius. Ashes can be couriered to anywhere in the UK for an additional cost. The two doctors’ certificates are not included: currently £164. There are instances where the death has been referred to the coroner and so these are not required. If collection of the person’s body is urgent, then an out-of-hours collection fee of £195 may also apply. Although this is a low cost option, we work with the same amount of care and respect for the person who as died as with any other funeral that we arrange. The costs are kept low because we choose the date and time of the cremation, there is no funeral service at the crematorium and family will not be able to attend. We can offer additional services to the Direct Cremation if required: Washing and dressing £95, Visiting in the family room £95, Webpage £15.